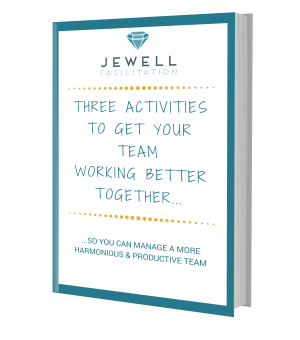 …so you can enjoy managing a harmonious and efficient team. Jewell Facilitation has helped many businesses like yours improve communication within their team. I have created this free guide because I want to share with you some exercises that I might include in a facilitated workshop process so you can use them too to get your team working better together. Where shall I send the guide? I promise your information will be kept private.